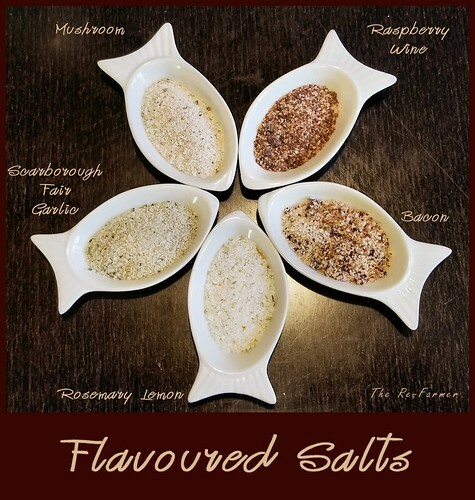 Dry salts are made with a basic ratio of 1 tsp flavors to 1/4 cup coarse salt. Feel free to adjust to your own personal tastes! For the salt, you can use Kosher salt, pickling salt, sea salt, or any coarse salt you prefer. I used Kosher salt, which is fine enough to not need further grinding, but coarse enough to maintain a nice texture. Step 1: measure out the lemon zest and rosemary leaves (see note below). 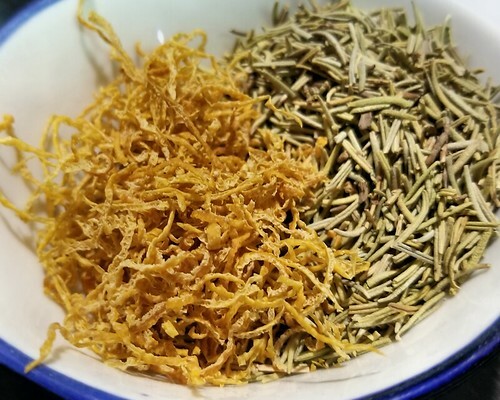 Dehydrated lemon zest and rosemary leaves. 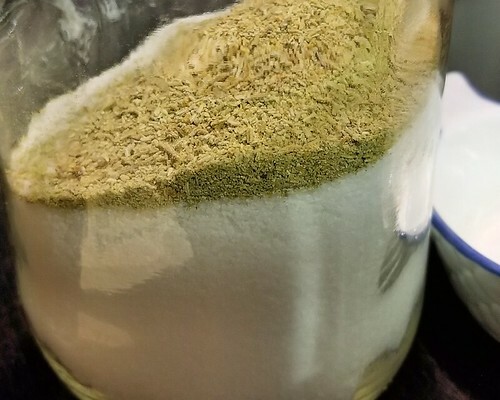 Note: For 1 cup of salt, you will want about 4 tsp ground rosemary/lemon mixture. 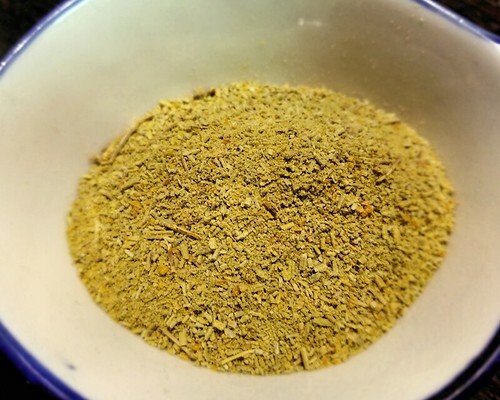 I made mine using 2 cups of salt, so I used about 3 rounded tablespoons total (1 Tbsp = 3 tsp) of the lemon zest and rosemary leaves, to get approximately 8 tsp after grinding. Lemon zest and rosemary leaves, ground together. Step 2: grind the rosemary leaves and lemon zest together, to a fairly fine powder. 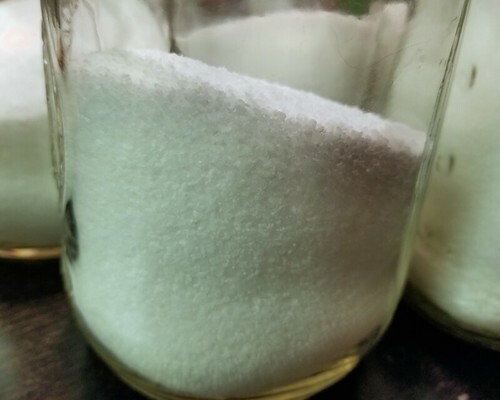 Step 3: measure out your salt into a jar. Kosher salt with rosemary, lemon zest powder. Step 4: add ground rosemary and lemon zest to the salt. Close the jar and shake thoroughly. Step 5: Label your jar and set aside for about a week, out of direct sunlight, to give the flavors time to meld, giving the jar a thorough shake on a regular basis.